I am a last minute sewer. 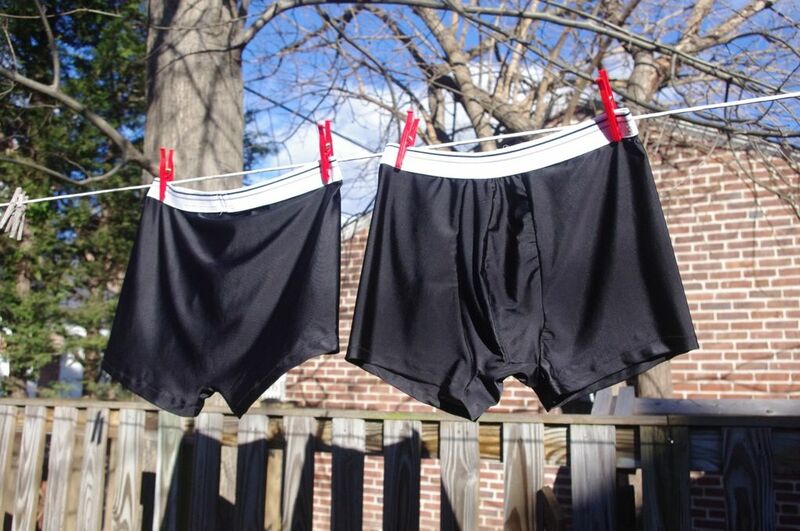 I whipped up two pairs of black wicking boxer shorts for a birthday gift before work last Thursday morning. 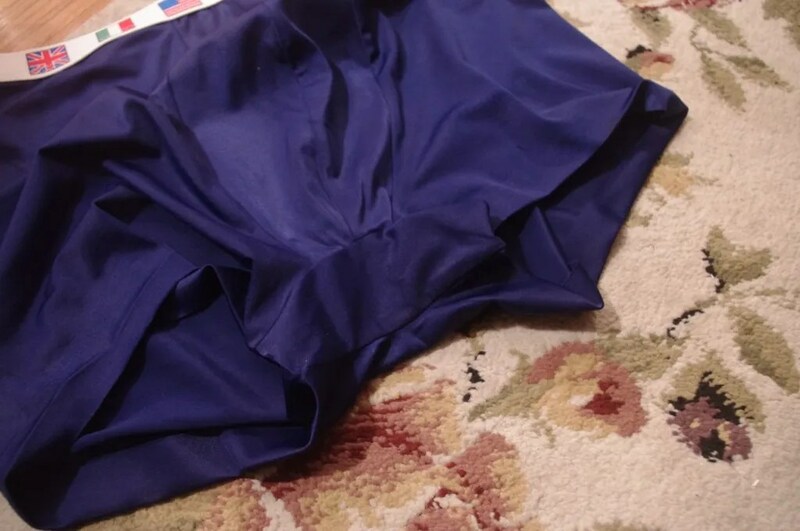 I first made these boxer briefs in royal blue as a holiday gift back in December. I made a few mock pairs up for a volunteer pattern testing friend to ‘test’ run for me. After giving the briefs as a gift and hearing back from my pattern testing friend, I decided to make another tweak to the pattern. The first tweak on my original pair (above) was adding a gusset in the crotch area (based on RTW and comments). This allows the boxers to ‘snug’ up in between the legs so to speak. This time, I added more of a curve to the fly — about 1/4 inch for a total of half of inch. 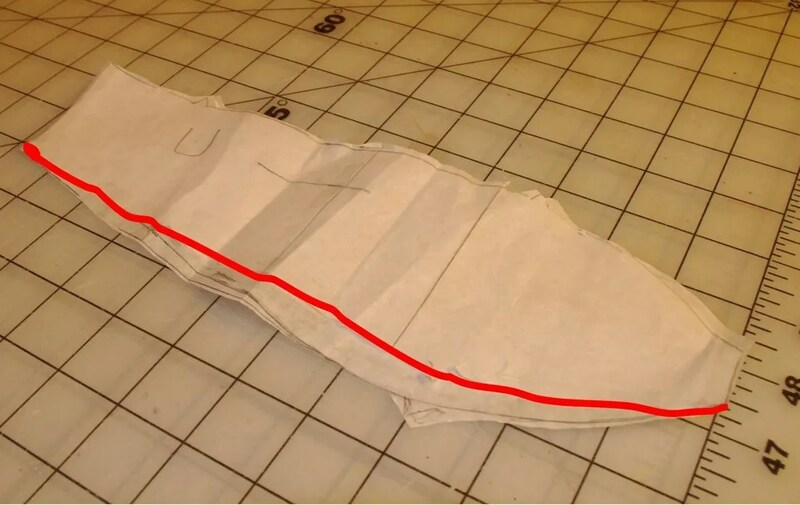 The red line is the original pattern line. This should allow them to be more fitted. I tried to think of it like a bra cup. The previous version didn’t have enough depth. I believe the pattern is discontinued. I saw ‘performance boxers’ at Sam’s Club last week. They were two for $21 I think. This fabric is Under Armour wicking from Guss Woolens in Baltimore and $5 a yard. So, I made two pairs for $5 really. Unfortuntely, I bought the last of this waistbanding from an Etsy seller. But, I’m on the constant hunt for more. Guss Woolens has this thin wicking in black and several shades of blue. I plan to use some for myself for workout tops and underwear. I have that pattern, I have actually made the hip style for my husband numerous times. When he was stationed in Germany (2 tours) he found this style, and we actually had trouble ever finding them in the states, when that Jalie pattern came out it was mine 🙂 . I use silk-weight wick-away fabric, the last 2 times I bought the fabric over at RockyWoods.Com if you need anymore. They have great service, fair prices, have been happy with my wick-away purchases. Great job on all the tweaking. Anne at Needle Nook in Kansas,probably has waistband elastic. I am constantly amazed at the things you sew. Very impressive. They’re so fancy! 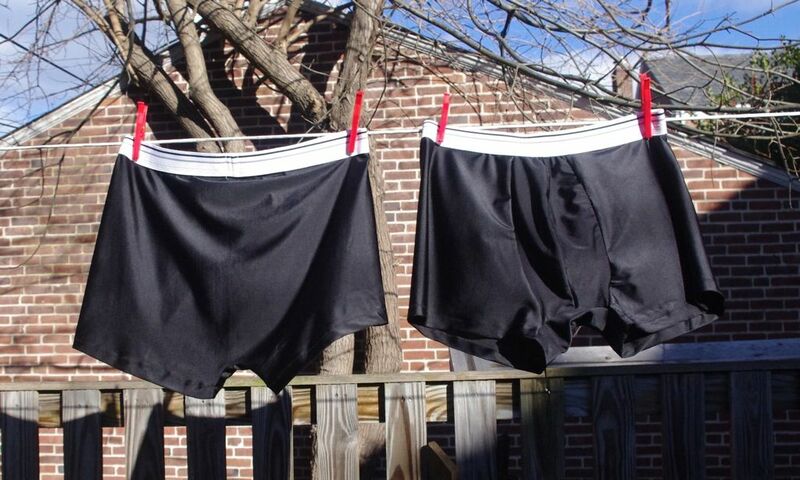 I wish i could convince my dude to go boxer briefs, but he must be free. I can’t believe no one’s brought up “Junk Jeans” yet (ie, male FBA). Google it (but maybe not at work). I thought Wawak had that kind of elastic, but I couldn’t find it on their web site (hallucination? catalog picture?). I was just looking for that particular pattern and it’s no longer being sold. Is it possible to get it from someone?